I’m not much of a bake so need as much help as I can get on the bread front, these look delicious and very moorish! Our Grandson is celebrating his 21st birthday tomorrow and I thought I would surprise his with one of his favorite foods (rolls)! The only issue I see in the recipe is that I may have to make another batch to carry with me to his birthday party because I don’t think there will be enough of these left! Excellent, Mick! What a great addition to a birthday party!! My husband eats a batch of these incredibly quickly!! I hope they were a hit! I just made this recipe to the t and I wouldn’t change a thing it’s amazing ! And the only problem i found is I can’t stop eating them lol. Thank you ! 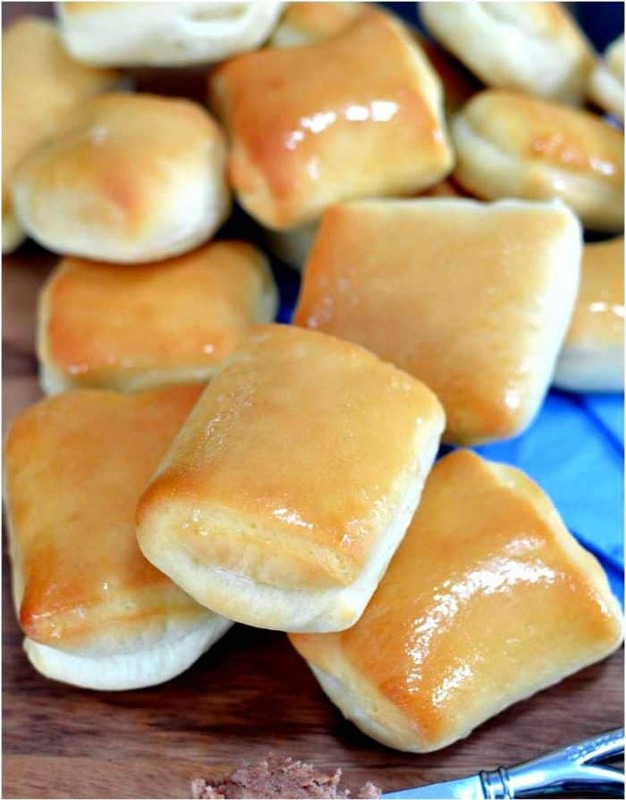 These have to be me and my son’s favorite rolls and I’m just about to get get started on them. But for the yeast, can I use instant? It’s not specified what kind of yeast in the recipe and I really don’t wanna mess this up! Thank you! Instant is just fine, yes! Enjoy! 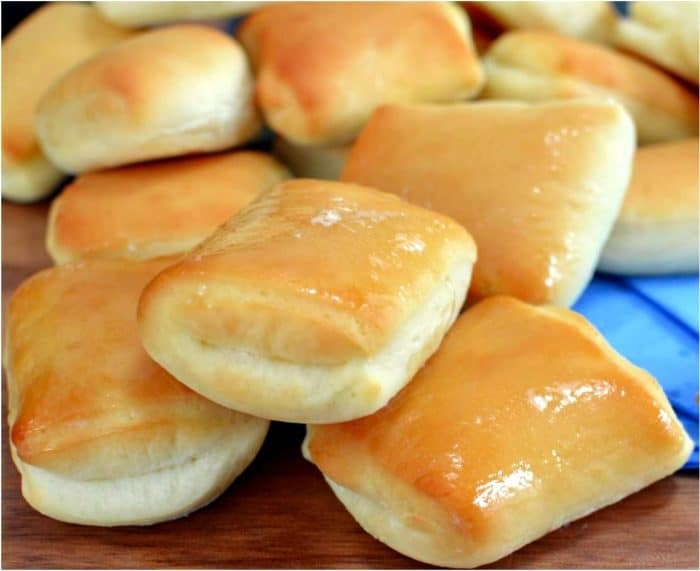 Question, I see some copycat recipes for Texas Roadhouse Rolls that call for sugar and some for honey…what’s the difference to the final product? Hi Shannon, there are a few differences, one being that using honey will result in more moist rolls. It also helps to brown the rolls more than sugar would 🙂 I hope you get to try them! I will be making them for Christmas and will use honey…just wanted to ask before deciding which to use 🙂 Thank you! These look so good. I plan on making them tomorrow. Thanks for the post and Merry Christmas. They were a hit. Definitely will make them again. 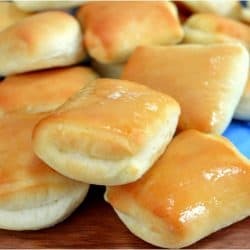 I’ve never made yeast rolls before they were so easy.Thanks again. I’m soooooo happy that they turned out well for you Diane!!!! Thank you for letting me know. I really need to make another batch soon!!! Is it possible to make these rolls the night before up to cutting them and putting them on the cookie sheet? Then taking them out letting them get to room temp to double before baking? I’ve made cinnamon rolls before where this was possible. Have you ever tried this? Hi Katlyn, I haven’t tried this myself, but I would be very surprised if it didn’t work. I think that is a very popular method for many types of breads and rolls, I would give it a go! Great! Thank you so much for your input – I will let you know how it goes! Awesome, best of luck!!! I did a little extra research after my response to you and I still say it’s going to work! Letting them get to room temp and doubling prior to baking is the key I think! 🙂 Have fun, enjoy! Looking forward to hearing how they come out! Rolls are good but not sweet enough (we went to Roadhouse for lunch and brought rolls home to try and duplicate with this recipe). Liked the idea of folding the dough in half, but it makes them much thicker than Roadhouse. They use one layer and cut them on the sheet and let them rise from there. The butter recipe was close, but they use a very mild honey and more butter. Will be tweaking and trying again. So good! Best copycat recipe for sure! I have attempted to make dinner rolls from scratch and filled miserably. They’ve always come out as hard as a rock, so hard my teeth couldn’t bite off pieces my poor husband Took it upon himself to prove that the taste was there just not the The texture LOL. He ate all 24 by himself, anyway! I was scared to try these they sounded too good to be true. As I was making them I had a good feeling the dough felt light and after an hour of rising and tripled in size I made the rules bake them and when they came out they were the best butter dinner rolls ever! You are the best You honestly made me a hero here at home! The closest Texas roadhouse is 50 minutes away and the way brought some bread home for my daughter she was sad she couldn’t be there when they were out of the oven this made up for that they are the best! I wonder if I could use this recipe to make pizza crust? Thanks again!! WOOOOOOOOO, SUCCESS!!! I’m soooo happy that these worked out well for you! I have to say, I’m no bread maker so I was just as ecstatic when they turned out well for me too!!! 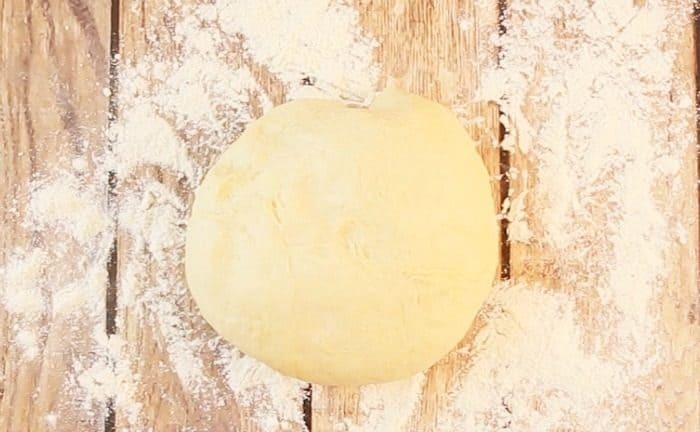 I am REALLY curious now about the pizza dough idea and I’m thinking that might just work!! The flavor would be so perfect, I’m going to have to try that sometime SOON… thank you for the excellent idea!!! And for sharing your success story, it truly made my week!